Tonie Daylanne de la Cruz (daylanne21@gmail.com) has posted a new album. ETHICAL HACKING AND WIRELESS HACKING & SECURITY SEMINAR! The Philippine Academy of Dermatological Surgery Foundation, Inc. (PADSFI) will hold its 10th Annual Convention on March 11-13, 2011 at the Crowne Plaza Hotel, Ortigas Avenue in Quezon City. which was formally announced last Feb 7 Area Meeting. The Social Security System (SSS) has sent out field inspectors to construction sites and other high-risk work areas to check the employment status of workers and ensure their protection from work-related accidents as provided by law, a top official said. The Philippine Supreme Court exhibited chicanery in its February 8, 2011 decision denying “with finality” the appeal of the five men known as the “Abadilla 5” who were convicted of the ambush killing of Col. Rolando Abadilla on June 13, 1996. Commissioner’s Cup will end on May 13, 2011 at the latest. Below is the format of the three-month conference where  each game is expected to be a battle. There is an ongoing signature campaign to save Palawan from the negative effects of the proposed minings of some multi-national companies. back to back with . . . If we will enact the jury system law with its provisions as proposed in the draft in the web site below, the Filipino people could easily indict any grafter with the crime of obstruction of justice which is easier to prove than the crime of bribery or perjury. Take heart with berries, beans, and other healthy fare. levels of LDL (or bad) cholesterol and help keep arteries clear. Ang University of Santo Tomas (UST) Reserve Officers' Training Course (ROTC) ay nakatakdang magkakaroon ng grand reunion at parada bilang paggunita sa ika- 400th founding anniversary sa susunod na Linggo ganap na ika-3 ng hapon Peb. 6, 2011 sa UST parade grounds sa Sampaloc, Maynila. journalist – last January 24 in Puerto Princesa, Palawan. Pollution watchdog EcoWaste Coalition declared support to Metro Manila Development Authority Chairman Arturo Tolentino’s call to local government units (LGUs) to enact their own ban on single-use plastic bags. Here's your chance to be part of Philippine history! The Social Security System (SSS) said more than 270,000 employers with an estimated workforce of seven million would benefit from the agency’s six-month amnesty program on loan penalties, which started on January 3, a top official said. Congratulations to DG Tranquil and his Global Presidents for a very successful Midyear Review in Genting Malaysia. I saw the pictures taken by John and the evident huge number of Presidents, officers and Rotarians who participated in this first ever review out of the country and it's amazing. Over 140 Rotarians is a fantastic number!!! What do Jim Paredes, Conrad De Quiros, Marian Roces, Senator Francis Pangilinan, Senator TG Guingona, Senator Serge Osmena, Neric Acosta and Mae Paner have in common? I strongly oppose Charter Change. The present constitution is near perfect. All that is required is to provide implementing legislation to its Article II, Section 1 and Section 26. Hindi titigil ang Philippine National Police (PNP) sa paghabol at paghuli ang mga carnapper at iba pang mga kriminal, alinsunod sa “total approach” na inihatag ni PNP chief Director General Raul Bacalzo laban sa kriminalidad. Processed foods can be deadly. Asia in a recently published book. The great challenge that the Aquino government has inherited and is trying to confront is the proliferation of sexual violence against children and the shocking trade in human persons in the Philippines. Construction Industry for private projects only. Dear Companyero, I hope u can sendthis Mang Lauro & Dante. Senator Francis "Kiko" Pangilinan todays says that the death penalty is not the answer to the seemingly rampant criminality in the country. On 23 February 2011 we will again be celebrating the anniversary of Rotary International together with the rest of the Rotary world. In the Philippines we will be holding, for the second time, our highly successful BEAMING ACTIVITY. FULL GOSPEL BUSINESS MEN’S FELLOWSHIP INT’L., INC.
Jerry Springer: The Opera and they get tax dollars! Click here to send your instant e-protest message. Click My Nose Above to Read My Blog! May I bless your year? We are happy to inform you that to date, One Capitol (Located in Kapitolyo, Pasig City) is now ready for Occupancy and is already 92% sold. 1. 5% Spot Down Payment you can already Move In to your Unit. For nation-building, my personal preference is to focus not on education but on making exports zoom. Then the resulting higher incomes of Filipinos along with the higher tax revenues of the government would provide the impetus for the rise of a stronger school system. Let me share what I discussed in threads at Facebook as I campaign for jury. are just doubting on the capability of their fellow Filipinos. 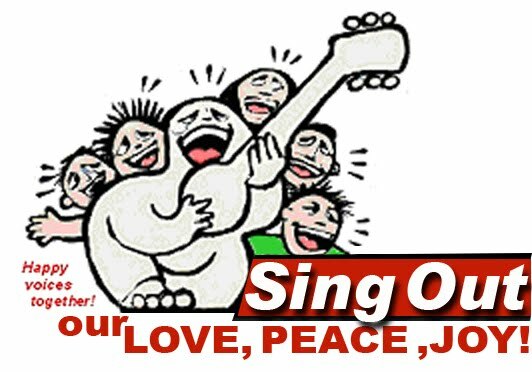 YOU are invited to join Sing-Out 2011, a global campaign effort to cause families and friendship groups to sing together in homes, parks, offices, etc. in many countries in 2011, for Love, Peace, Joy. Pls. 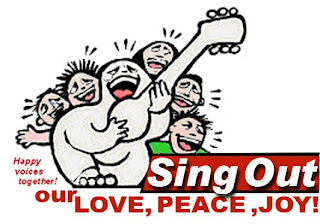 read http://readdingz.blogspot.com/2011/01/sing-out-2011-short-intro-for-all.html, and invite your friends to join in and to invite theirs.. THIS WILL TRULY LIFT YOU UP SPIRITUALLY. ENJOY & BELIEVE. The story in the web site below tells us all how corrupt and "invincible" the government grafters are in the Philippines. With the current Philippine (In)Justice System, there is no way crimes of corruption can ever be solved. Those who pretend to solve the problem are, in fact, the same masterminds of the crimes. A barangay chairman of Grace Park, Caloocan City has called on presidents of Liga ng Mga Barangay (Liga) in all cities and provinces to be discerning come January 14 when they elect the national officers of their association that counts 42,000 barangays nationwide. Why did PCSO let 11-month-old boy die by refusing to give the pledge for liver transplant? by refusing to give the pledge for liver transplant? The National Press Club’s heart bleeds tremendously for Jesus Raphael Catiis as he died at 11:35 p.m. a day after Christmas Day of 2010 due to inborn damaged liver. Layman's language 10 commandments ? Great reading.